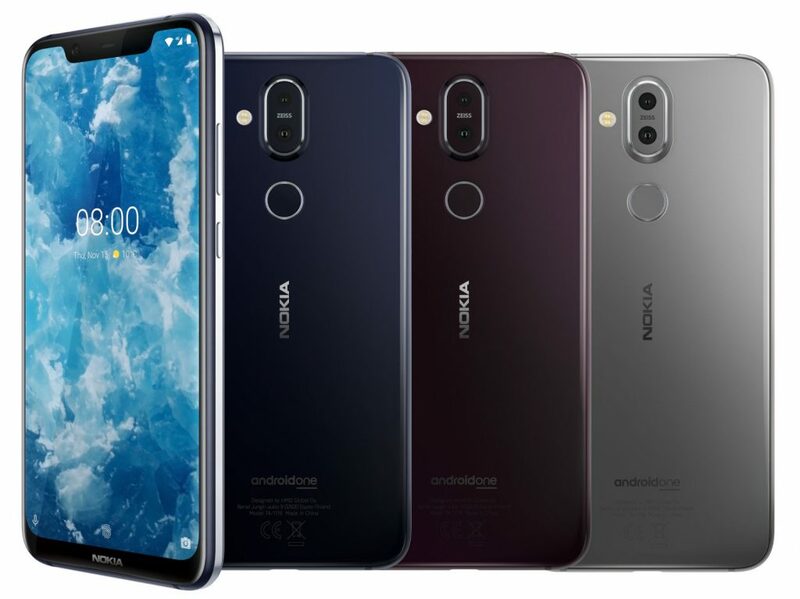 Nokia has finally launched the successor to the Nokia 7 Plus with the name Nokia 8.1 finally, that was previously rumoured to launch as Nokia 7.1 Plus. The Nokia 8.1 has already received the TENAA approval that leaks the major specifications and even images of the device. The Nokia 8.1 is priced at 399 Euros (around $452) and will be available with Blue/Silver, Steel/ Copper, Iron/Steel color options. It will be available in the UAE starting from December 15th where it will be priced at 1,499 Dirham (around $408) and will be available for pre-orders from tomorrow in the country. It will be available in the rest of the Middle East from December 20th. The Nokia 8.1 will be launched in India in the company's December 10th event. 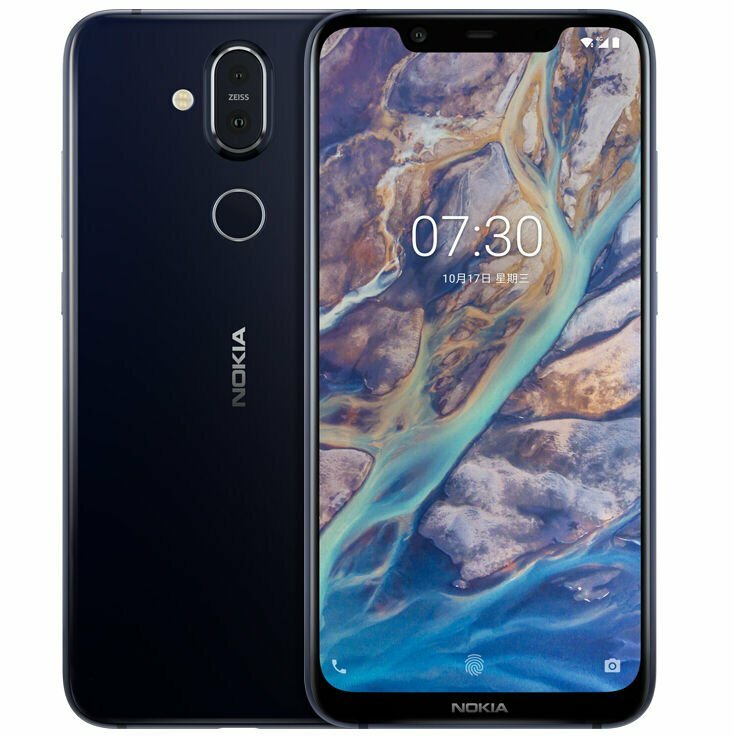 It was launched as Nokia X7 in China in October. The Nokia 8.1 has a 6 series aluminium-magnesium alloy frame, glass back, rear-mounted fingerprint sensor and the dual rear camera of the device comes with ZEISS optics similarly like the Nokia 7 Plus. It features a 6.18-inch Full HD+ Pure display with 18.7:9 aspect ratio, 500 nits brightness, 96% NTSC Color gamut, DCI-P3, 1500:1 Contrast ratio and 2246 × 1080 pixels resolution. It is powered by an octa-core Snapdragon 710 10nm Mobile Platform (Dual 2.2GHz Kryo 360 + Hexa 1.7GHz Kryo 360 CPUs) with Adreno 616 GPU. It comes with 4GB (LPPDDR4x) of RAM with 64GB (eMMC 5.1) inbuilt storage with expandable storage up to 400GB with the help of a microSD card. It runs on the Android 9.0 (Pie) out of the box and comes with hybrid Dual SIMs (nano + nano / microSD). It features a dual rear camera with a 12-megapixel camera with dual-tone LED flash, Sony IMX363 sensor, f/1.8 aperture, 1.4μm pixels, OIS along with a 13-megapixel secondary rear camera with f/2.2 aperture. It has a 20-megapixel front-facing camera with f/2.0 aperture. It is backed up by a 3500mAh battery with support for 18W fast charging and it also supports Dual 4G VoLTE, WiFi 802.11 ac (2.4GHz + 5GHz), Bluetooth 5, GPS + GLONASS, USB Type-C, 3.5mm audio jack connectivity options. It comes with Nokia OZO Stereo Audio recording and has a fingerprint sensor on the rear side. It measures 154.8×75.76×7.97mm and weights 180 grams.